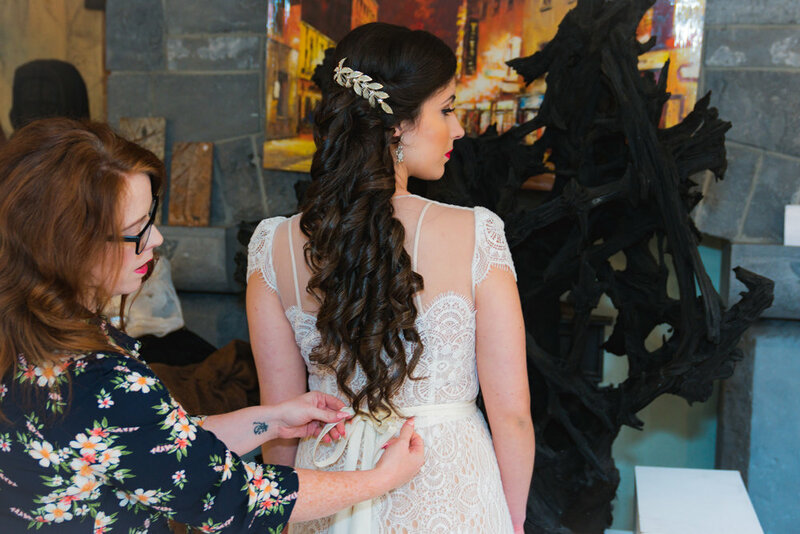 Steeped in Claddagh culture, mythology & folk lore, we are a completely unique wedding & events venue with a heritage centre, design studio & shop. Located in the original 6th Century fishing village that inspired the internationally famous Claddagh Ring, this is the only place in the world that you can enjoy the ambience and romance of the ring's original home. Event venue, Galway. Make your day special! Step back in time and enjoy your wedding or special event while immersed in the rings symbolism of 'love, loyalty & friendship, or just pop along to visit us for a cuppa. Be part of our Claddagh Experience! Julianna and Adam enjoying the real Claddagh Experience after their vow renewal at Katie's Claddagh Cottage. Photo credit: Paul Duane. Nina & Alex's Wedding with Nicola McGuire. Photograph: Paul Duane. We are dedicated to making your wedding or vow renewal a day to remember. 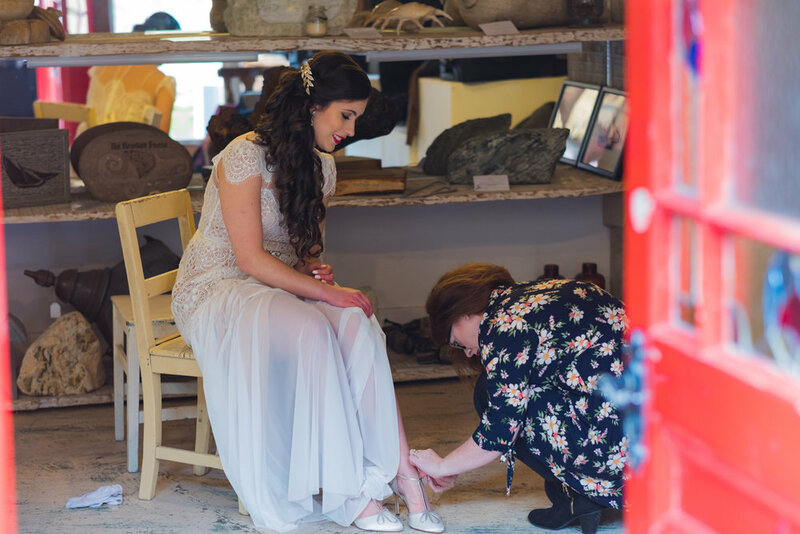 Specialising in bespoke, intimate & deeply romantic weddings, we can offer either photo shoots, or entire wedding packages (ceremony, catering & celebrations) designed with authenticity, love & care. This is an altogether memorable experience for you, your family & friends! Love is a process of growing together, and quite often marriages change, as children grow, or experiences deepen. We can offer you the perfect vow renewal, with a Claddagh theme & option of a handcrafted album put together of all your years journeying together. We spend time crafting this special day, so that you can renew your love & create new memories to last forever. 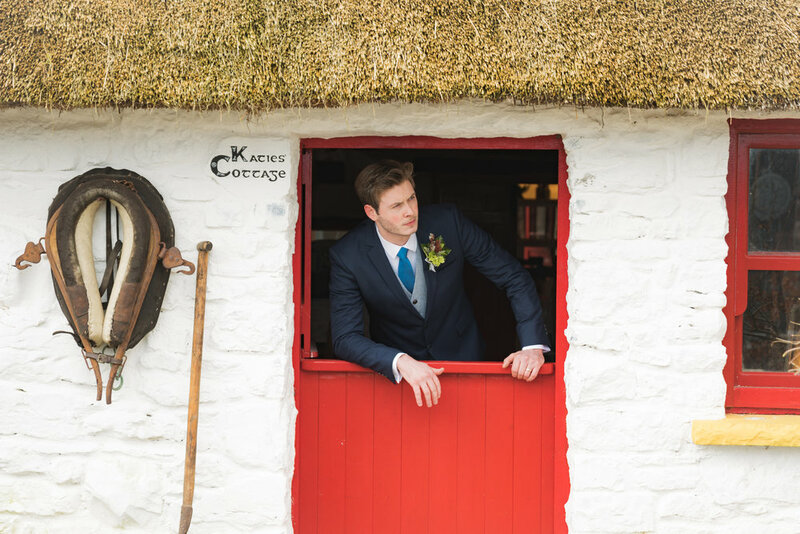 We work with a range of talented photographers to provide you with the option of using Katies's Claddagh Cottage for a photo shoot, or location for celebrations. This unique location is an ancient heritage site, dating back to the 6th Century Claddagh fishing village. Up until the 1930s there were over 300 thatched cottages, and now there is only one: Katie's Claddagh Cottage. Vowel Renewal at Katie's with Alex and Julianna. We had a especially exquisite day with Celebrant Nicola McGuire Hair Stylist, Gemma Fahy, Flowers by Bernadette Higgins & Make Up by Fiona Coyne, Photographer Paul Duane & Harpist Molly Friel. 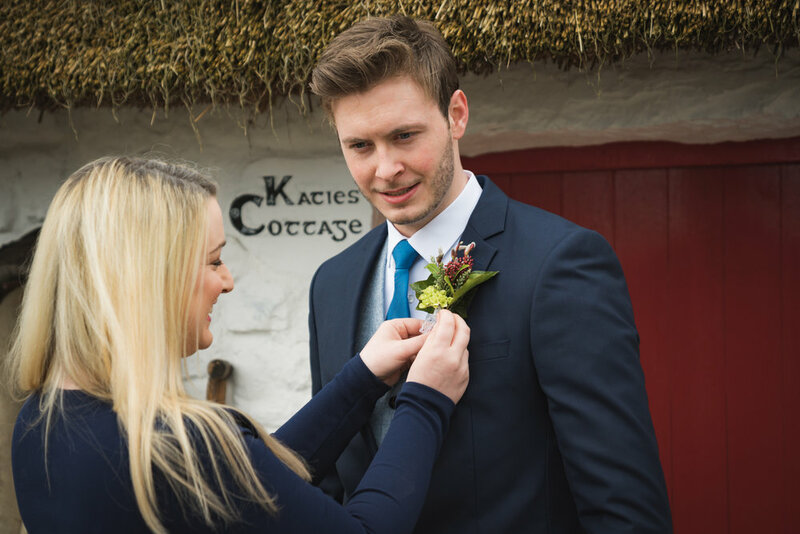 Katie's Claddagh Cottage Wedding Packages with Celebrant Nicola McGuire. Nicola McGuire is an accredited Wedding Celebrant with the Irish Institute of Celebrants, and is renowned for her personal, gentle and charismatic flare. She has performed many wedding ceremonies in Ireland and abroad. Having been a popular wedding singer for over 15 years, Nicola is highly experienced and offers a completely bespoke package from planning to ceremonies, music & accessories. She is also a native of the Claddagh, and therefore shares that little bit of extra magic associated with the Claddagh ring's romance and charm. 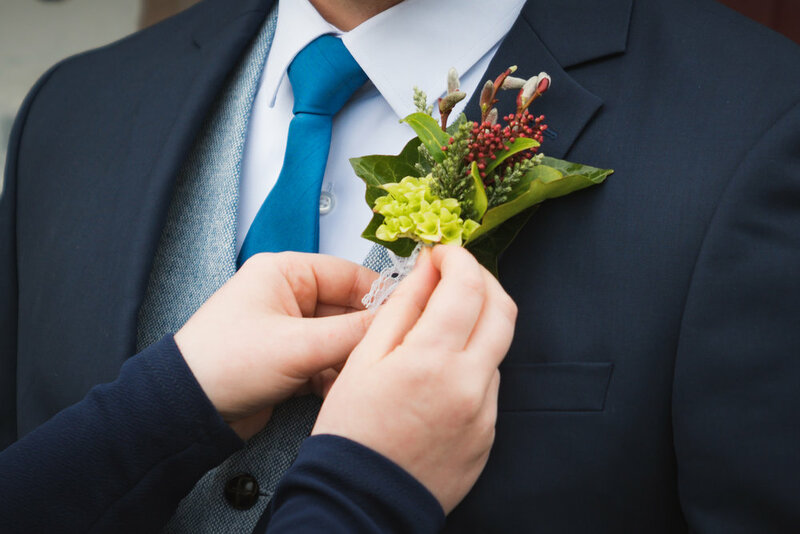 As an independent celebrant, Nicola does not belong to any specific group, so you can include whatever you wish to make your ceremony extra special. So, we invite you to include rituals like candle lighting, sand ceremony, hand fasting, or special offerings. You may also include any type of prayer, music and readings of your choice. 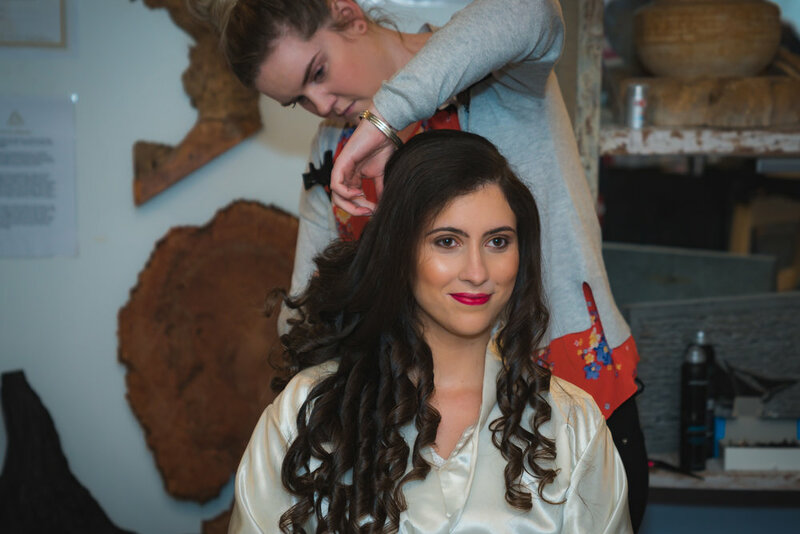 In the months before your wedding, Nicola and Katie's team will meet with the couple in person (or via Skype) to find out about their personal journey to their wedding day. Your special day can be formal, traditional, casual, or something in-between; the choice is yours. There are so many possibilities at Katie's Claddagh Cottage. Together with Nicola and our team, we are delighted to be part of your completely unique experience. Catering with Local Gourmet Options. Celebrant Packages or Location Shoots. Reception (larger location option) after the cottage ceremony. Behind the Scenes at Katie's. Photos by Paul Duane. 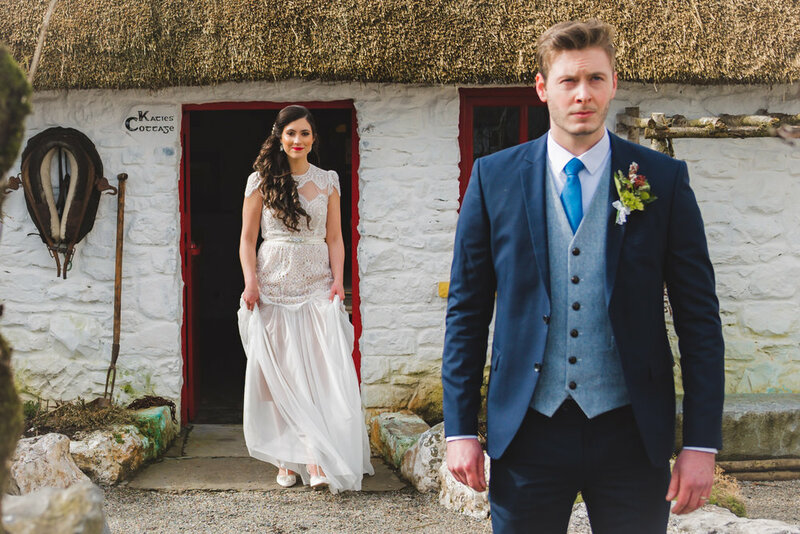 Laura & Lorcán celebrating their wedding at Katie's Claddagh Cottage. 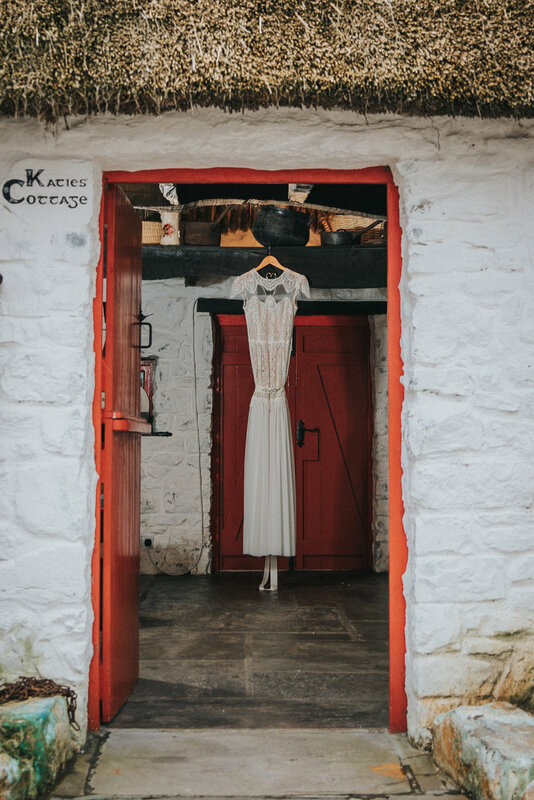 In addition to weddings, Katie's Claddagh Cottage has two unique spaces for private hire. This beautiful venue is seeped in character & culture, and is ideal for an intimate birthday, Christmas gathering, reception, book launch or cultural event. SHARE YOUR MEANINGFUL MOMENTS IN OUR ENCHANTED LITTLE OASIS. WE SUPPLY YOU WITH A VENUE; YOU BRING IN YOUR OWN CATERING. Please ring or message us if you are interested in sharing a special occasion with your loved ones. In addition, we have a list of entertainment options, including LIVE traditional & classic music, Irish dance, piano & harp music. We would love to discuss your special day, so send us a message. 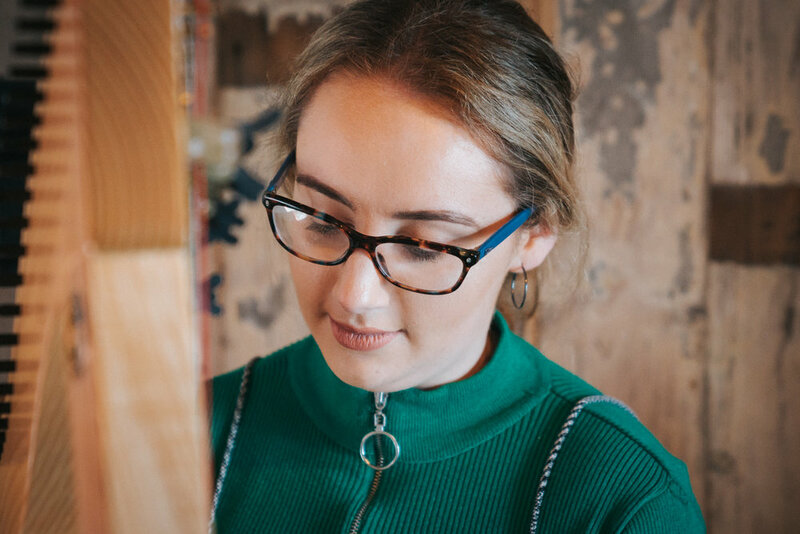 Our design studio is part of a restored authentic thatched Claddagh Cottage, with a history that dates back to the 6th Century. Visit us to experience both traditional & modern home & garden design, inspired by stories from the Claddagh's unique fishing village history. Sourced from local markets, this is the only place in the world that you can purchase a 100% Irish Claddagh Ring in it's original home: The Claddagh Fishing Village is an ancient fishing village dating back to the 6th century. We have people come from far a field to have the experience of discovering their special ring in such a historically unique location. Some of our designers have over thirty years experience of creating unique Irish design for every occasion. Large & small projects, including complete home & garden design & construction.